Frequently asked questions related to VORTEX are introduced. Can VORTEX yarn be produced by other spinning machines? What is the spinning method of VORTEX? In both Ring spinning and open-end spinning, fibers are twisted by mechanical means in order to form a yarn. In VORTEX spinning, a vortex of compressed air having no moving parts, is used to form a yarn. Can the number of twists of VORTEX yarn be measured and adjusted? As fibers are not mechanically twisted in VORTEX spinning, the number of twists cannot be mechanically set. In ring spinning, the number of twists is adjusted according to the application. However, in VORTEX spinning, the strength of the compressed air vortex and the spinning speed are used for adjustment. What kinds of fibers can be spun by a VORTEX spinning machine? Basically, short fibers used for normal staple yarns, (2 inches (51mm) or shorter), can be spun. However, fibers with very high elongation or fibers inappropriate for a vortex of compressed air may be difficult to spin. 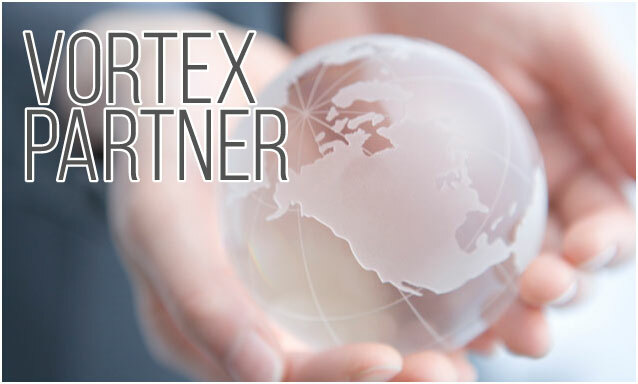 What is a VORTEX PARTNER? Spinners who give us permission to publicize their use of Murata Machinery VORTEX spinning machines, and other enterprises or groups who endorse and support VORTEX promotion activities with Murata Machinery. Can I contact a VORTEX PARTNER? You can access the website of each PARTNER from PARTNERS' LINK.If you would like to consult your desired procurement region, material, application, etc., please contact us through our inquiry form.